The photo shows a ranking official of the Ministry of Justice. His civil rank [действительный статский советник] is equivalent to the military rank of Major-General. On his full dress uniform he wears the Order of St. Stanislaus 1st class (star and sash), the Order of St. Vladimir 3rd class (neck cross), one more cross that is hard to discern, three commemorative medals and two badges intended for various branches of the law profession. The picture was taken between 1914 and 1917. Is it possible to see the reverse side? Sometimes it might provide addirional info. 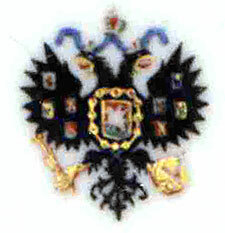 One of the badges is the graduation badge of the Imperial Law School in St. Petersburg. Do you know this gentleman's name? Hello. Please start a new thread for this question. Also, the link is only to one small portion, showing only a bit of a horse and the Russian words for "His Imperial Majesty"...so you will need to show more complete photos to get your answer.